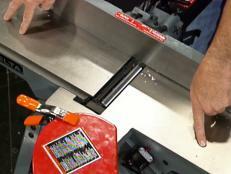 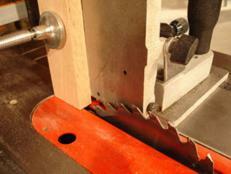 A veneer saw has a deep blade that doubles as a fence for making straight cuts through veneer. 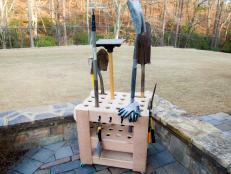 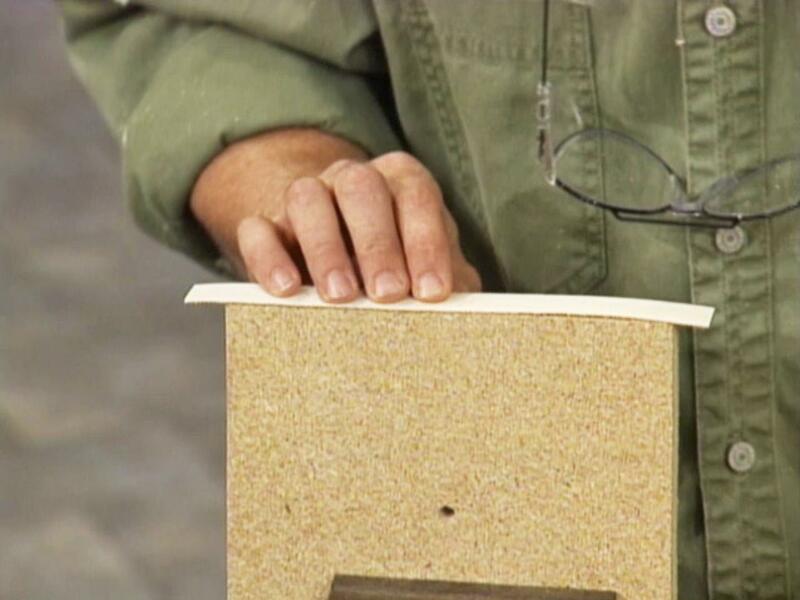 Use contact cement to apply veneer, and wear gloves and a respirator for protection from the cement's fumes. 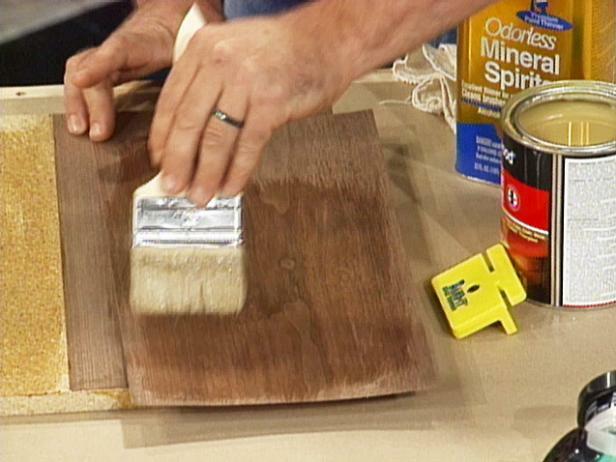 Use a paintbrush to apply the cement on both surfaces (image 1). 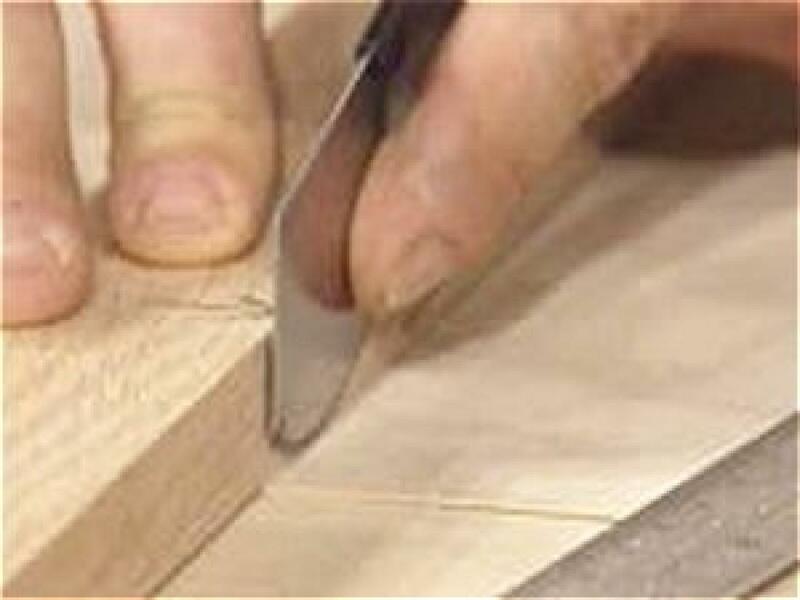 Secure the veneer to the work piece, pressing it firmly into place with your hands. 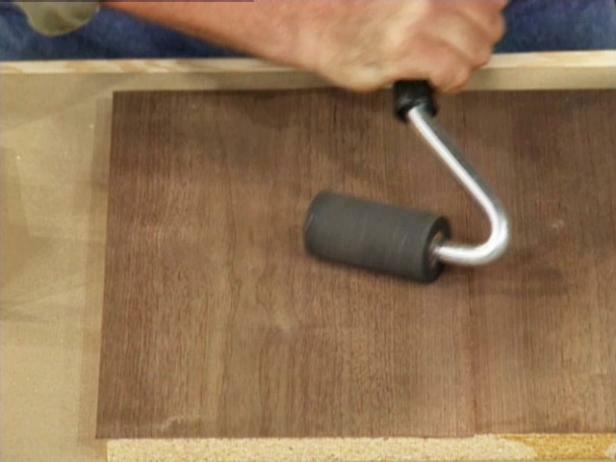 Then press it firmly with a rubber roller (image 2). 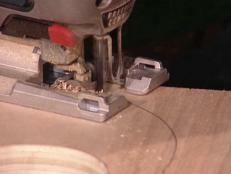 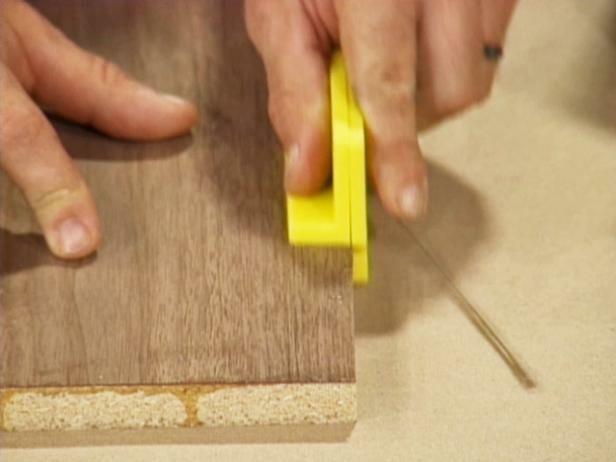 Use a razor edge or veneer-trimming tool to remove surplus veneer around the edges of a work piece. 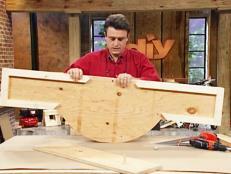 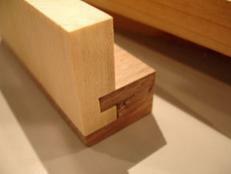 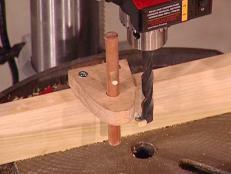 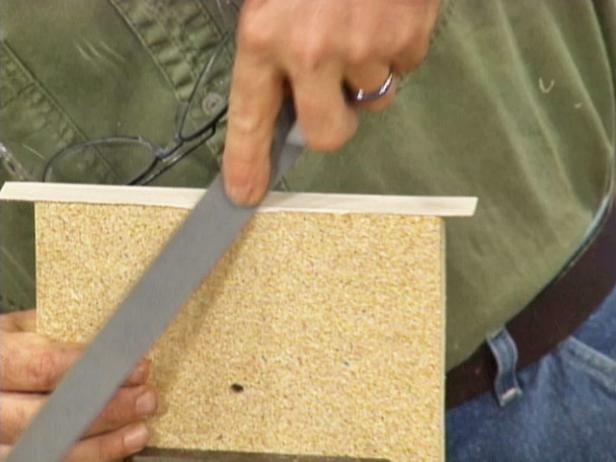 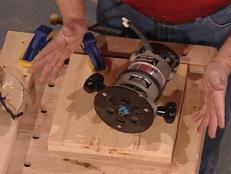 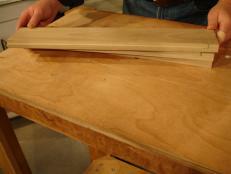 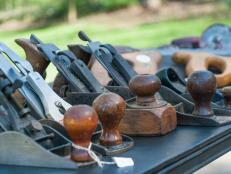 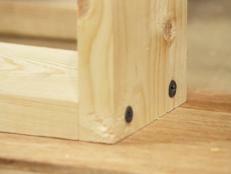 To hide the rough edges of a veneered surface, use a vise to clamp the work piece, with the rough edge facing up. 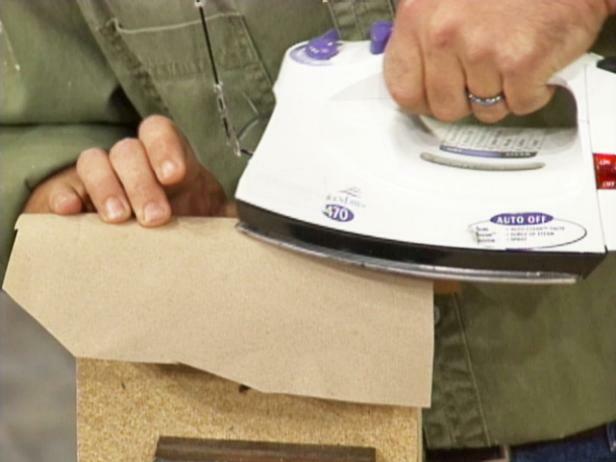 Place an iron-on edging strip on the rough edge (image 1), and place a piece of kraft paper over the edging strip to protect the iron from melting glue. 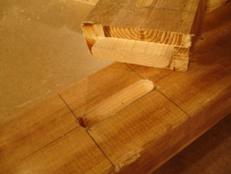 Guide the iron over the kraft paper and edging strip to melt the strip to the work piece (image 2). 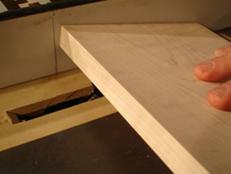 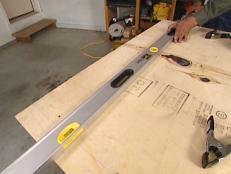 Use a file to sand the edges of the strip (image 3).